Logan’s Adventure Playground is an exciting playground situated within the Botanical Gardens Precinct of Cannonvale, Whitsundays, Queensland. You’ll find the playground on Coral Esplanade, nestled between the Cannonvale State School and the Fat Frog Beach Café, opposite the beautiful foreshore. Stage one was completed in February 2015, with the grand opening of The Tandem Flying Fox! Children are really loving this, and so are their parents! Over a four year period, the previous playground management (The Parent Action Group) raised $78,000. This saw the purchase and installation of the 30m Tandem Flying Fox, and has paid for the Saturn Carousel… soon to be installed! Their funds will also pay for the installation of the fence, completing stages 1 and 2. 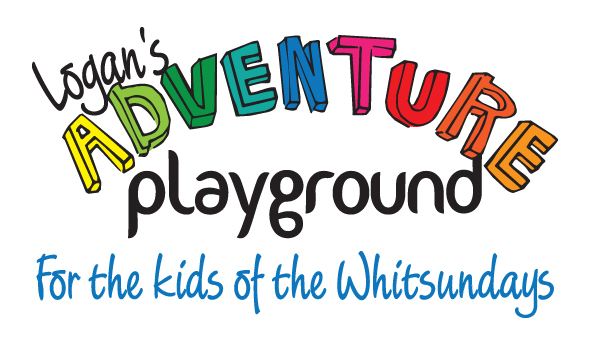 Play and Shine Project Group are now managing Logan’s Adventure Playground through to completion – and are excited to announce this is no ordinary playground! The children will experience state of the art climbing, swinging, tunnel, spinning and balancing equipment. Impressive to the children, and the young at heart!